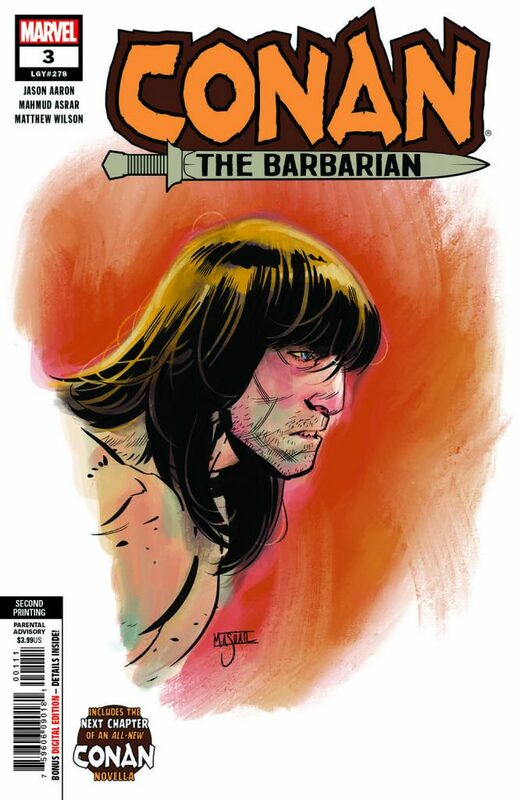 Just days after its debut, CONAN THE BARBARIAN #3 has returned for a second printing – proving that the Cimmerian’s triumphant return to comics is still reigning strong! With Mahmud Asrar’s tantalizing art, Matthew Wilson’s sensational colors, and Esad Ribic’s stunning covers, CONAN THE BARBARIAN is a book no one will want to miss! Don’t miss your chance to jump in on all the action when CONAN THE BARBARIAN #3 returns to comic shops for a second printing!